Redemption lays out the challenges we face in bringing and end to sexual assault. 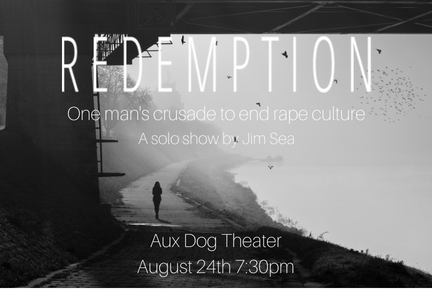 Delivered with delicacy, grace and humanity Jim Sea provides a deeply intimate theater experience. At least half of the proceeds from this show will be donated to a local organization to be used for their prevention efforts.